On 17.01.1995, This was the date when Archbishop Theodoros Nankyama fell asleep in the Lord. 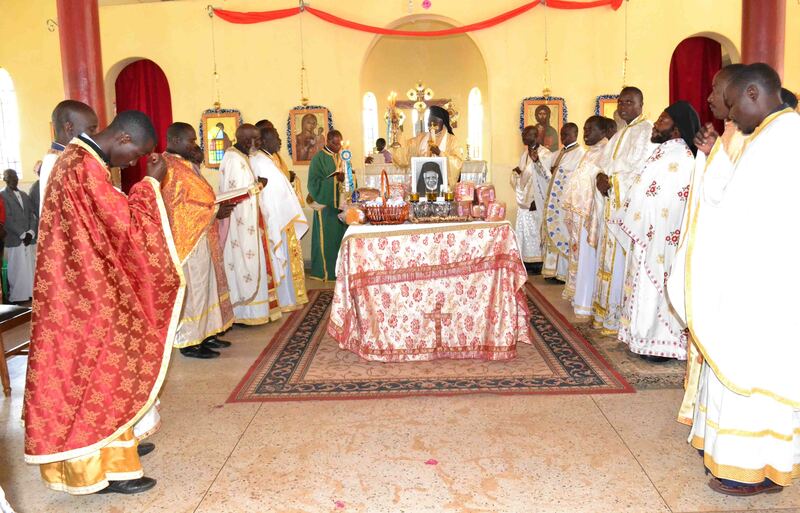 Being the very first Archbishop (Metropolitan) of the Metropolis of Kampala and all Uganda, every 17th of January on the day of the commemoration of St. Anthony (Antonios) the great, the Orthodox Community all over Uganda conducts a memorial service in celebration of the life and remembrance of the instrumental role of Archbishop Theodoros in the History of Orthodox in Uganda and East Africa at large. He was born on 03.03.1924 from Protestant family, at the village of Monde Tweyanze. His father was the late Julius SEKAYI and mother the late Julian NABBOWA. 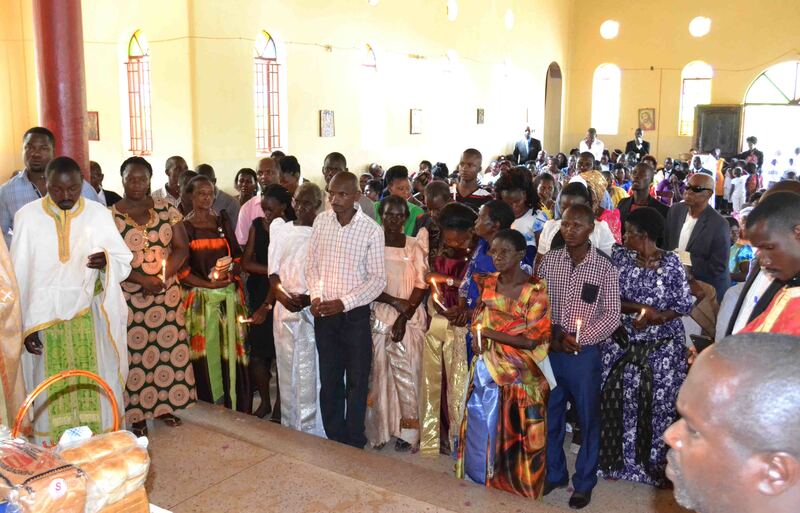 He converted to the Orthodox Faith in 1938-1944 when he studied in the Orthodox schools, at DEGEYA and NAMUNGOONA centers. He was sent to Egypt, by the Orthodox Community in Uganda (1945) for further training together with three colleagues: Dimitrios MUMBALE, Elias KATUMBA and George LUBUULWA. When he completed the High School in the Greek Orthodox Patriarchate of Alexandria, then he went to Athens, Greece to study Theology (1954-1959) and serve the Church. His three colleagues studied Medicine in the University of Athens. NANKYAMA attempted to specialize in Sociology, in Germany and England (1959-1961). 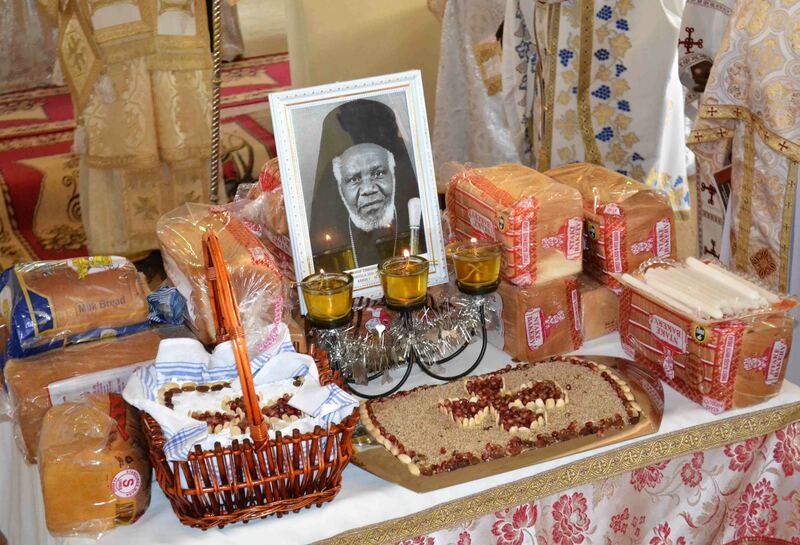 Eventually, he came back in the Patriarchate, was ordained as Deacon (21.05.1961) and priest (28.05.1961) by the then Metropolitan Nicholas Valleropoulos of East Africa. 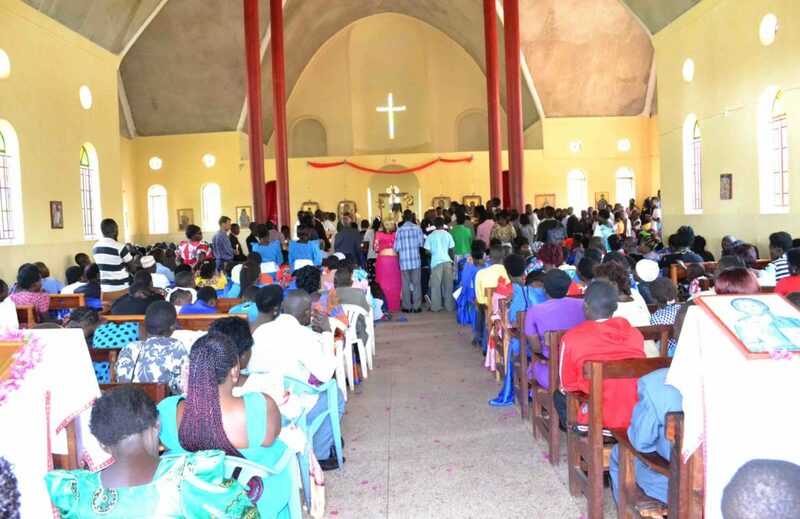 He returned to Uganda in the same year, served as priest and headteacher (Chwa II Memorial College) till his elevation to the rank of Bishop of Navcratis by the Holy Synod (22.12.1972). 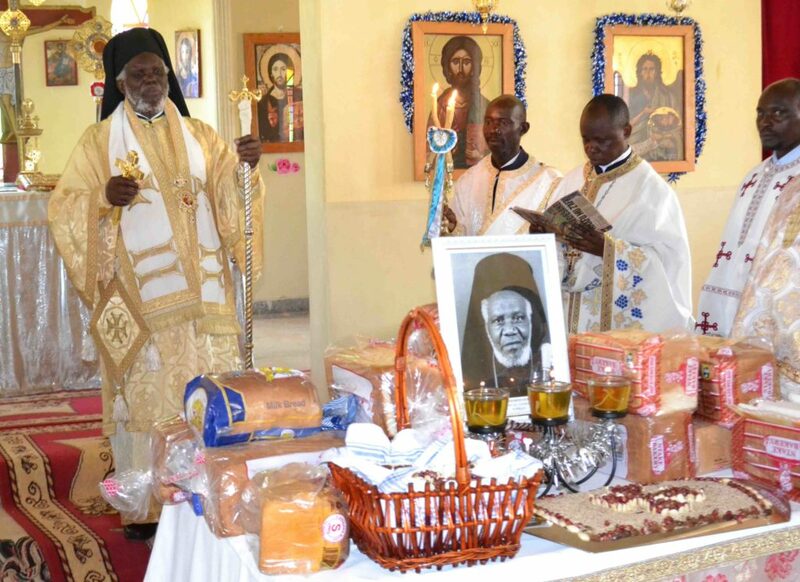 Theodoros NANKYAMA served the Uganda Orthodox Church and the Greek Patriarchate of Alexandria during the most difficult period of time. 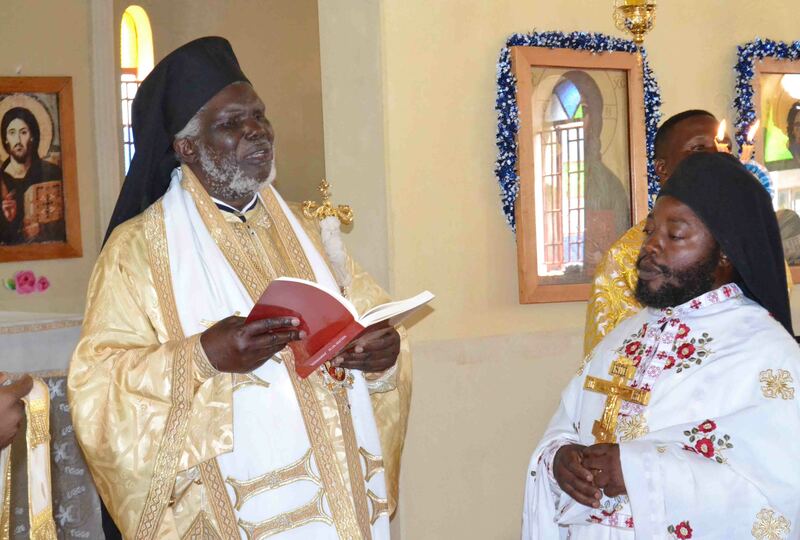 The Holy Synod promoted Bishop Theodoros to a Metropolitan of Kampala and All Uganda in 1995 and fell asleep in the Lord on 17.01.1997.